Faced with the current economic realities, farmers worldwide are looking for new options of surviving, as well as expanding their business. One of the many opportunities to grow markets, turnover, and profits is by adding value to farm produce through further processing. Most value-added food products available to consumers have been processed in some way or other, even if the processing is as simple as cleaning produce before it is packed in plastic or net bags. Here are some of the processing options available regarding root crops. Frozen asparagus: Asparagus spears are frozen whole by rapid freezing techniques to ensure maximum preservation of colour and texture. A blanching treatment is required prior to freezing. 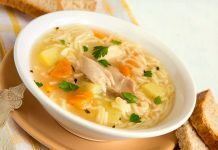 The frozen product is ready for use in soups and baked products. 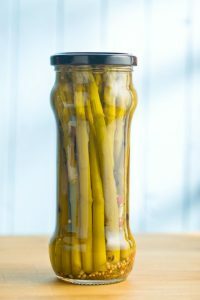 Pickled asparagus is preserved by the addition of salt and acid. Asparagus are usually pickled as whole spears, alone or with the addition of other minor ingredients. Spices can also be used. The spices are usually in concentrated extract form and may include ginger, pimento, black pepper, chillies, cloves and coriander. Pickled asparagus may be pasteurised to further extend the storage life of the product. Canned asparagus: Whole asparagus spears are canned upright in tin cans filled with a brine solution to extend the availability of asparagus for use in salads and baked products. Asparagus pieces or tips may also be canned. The canned product is classified according to the size (diameter) of the spears. Young, thin spears are softer and less fibrous. Asparagus juice: The juice of the asparagus may be used as an ingredient in mixed vegetable juices, since the juice possesses the well-known odour of asparagus. Boil-in-bag asparagus are used as a cooked vegetable, fresh, canned, frozen or boil-in-bag. Freeze-dried asparagus: Asparagus are used as a cooked vegetable, fresh, canned or frozen. Pickled beetroot is cooked, skinned and sliced beetroot packed and preserved in vinegar. The product is sealed in suitable containers and pasteurised to ensure a long, stable shelf life. Baby beetroots may be pickled whole. 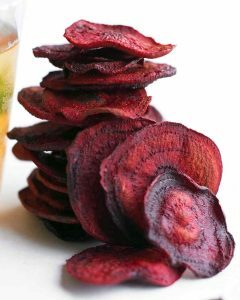 Dehydrated beetroot pieces are air-dried or puff-dried slices, dice or strips that can be used in dry soups, spaghetti, pizza sauces or casserole dishes. It can also be converted into beetroot powder that is used as a red colouring for salad dressing, sauces and tomato products. Canned beetroot: The roots used for canning should be uniform deep red in colour, as beets with pale rings give a less attractive appearance to the product, even though they have good edible qualities. Carrot juice is the liquid extracted from carrot puree. It is served as a beverage and is often blended with other fruit or vegetable juices. Carrot juice has a bright orange colour, similar to fresh orange juice. It is rich in antioxidants such as Beta-carotene. It is usually canned, bottled or aseptically packaged to ensure a shelf life of 6 to 9 months at 20°C. Copper penny carrots is a pickled side dish or salad that contains added vegetables and spices in a thick, sweet sauce. It is preserved by vinegar and pasteurisation. The carrots are cut into rings or “coins”, hence the name: Copper penny salad. Fresh-cut carrot sticks: This is a ready-to-use product that requires no further preparation prior to being used in salads or stir-fry dishes. It may be packaged alone or in combination with other salad or vegetable ingredients. It is preserved by blanching, refrigerated storage, protective packaging and optional surface treatments such as edible coatings. The product has a very limited shelf life and should be clearly marked and monitored to ensure it is used before the expiry date. Fresh-cut peeled baby carrots: This is also a ready-to-use product that requires no further preparation prior to cooking. It is preserved by blanching, surface treatments, refrigerated storage and protective packaging. Fresh-cut shredded carrots: This is a ready-to-use product that requires no further preparation prior to use in salads or dishes. It may be packaged alone or in combination with other salad or vegetable ingredients. It is preserved by chlorination or irradiation along with refrigerated storage and protective packaging. The product has a very limited shelf life and should be clearly marked and monitored to ensure it is used before the expiry date. Frozen carrots come in the form of whole-, baby- or sliced carrots of various shapes including rings, crinkle-cut rings and Julienne strips. The carrots are packed alone or in mixtures with other vegetables. 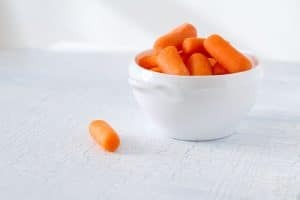 Gun-puffed carrots are a dehydrated product with a porous, slightly puffed texture that promotes quick re-hydration and cooking. It has a moisture content of 4% and shelf life of several months under controlled conditions. Pickled carrots generally fall into two categories, namely clear pickles and thick sauce pickles such as piccalilli. Pickled vegetables are preserved by the addition of acid, salt and sugar. A wide variety of sweet pickles are available, varying with the vegetables used, the degree to which the vegetables are softened by cooking and the type of sauce used. Canned carrots are a convenience product with a long keeping quality. Carrots may be canned alone or in mixtures with other vegetables such as peas. Frozen garlic is prepared from fresh garlic that is mashed with vegetable or olive oil to form a puree. The puree is packed and frozen to extend the storage life. The puree does not freeze to a hard mass and can be used directly from the freezer in stir-fry or in baking. 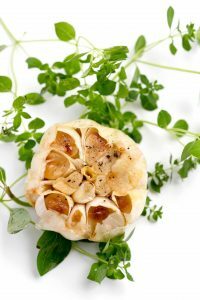 Roasted garlic is sweet to the taste and is delicious on bread as an appetiser, a vegetable dish or ice cream. The whole garlic head is used for preparing roasted garlic. Dehydrated garlic products come in the form of flakes, granules, powders and salts. 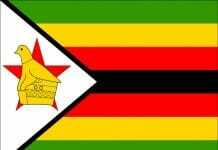 It is used as a pungent seasoning and flavouring in processed meat, salad dressings, sauces, soup mixes and pet food. Garlic generally has a shrinkage ration of 3:1. Dried ginger: Dried ginger is one of the major forms in which ginger is traded internationally. Dried ginger is used as a spice and for the preparation of ginger oleoresin and ginger oil. The appearance of the processed ginger, whether black or white, as well as the contents of volatile oil, the pungency level and an assessment of the aroma and flavour of the ginger is important in the evaluation of the quality of dried ginger. Ginger oil: Dried ginger is used for the preparation of ginger oil. 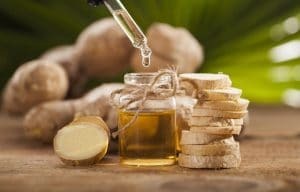 Ginger oil has an aromatic, lemony, spicy and mildly pungent sensory character and is used in the flavouring of beverages, confectionary and in perfumes. Green ginger: Green ginger is used in cooking and the peeled ginger may be preserved by boiling in syrup. Green ginger is mostly consumed in the areas of production as well as in nearby places. Minimally processed kohlrabi: “Minimally processed” horticultural products refer to products that are prepared and handled to maintain their fresh nature while providing convenience to the user. 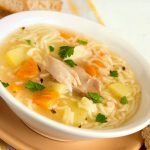 The processing of minimally processed foods include cleaning, washing, trimming, coring, slicing and shredding, and other terms used to refer to minimally processed foods are “lightly processed”, “partially processed”, “fresh processed” and “pre-prepared”. To learn to cook with kohlrabi click here for our Farm Fare post about this new and exciting root vegetable.